Stocks are up this morning as overseas markets rally. Bonds and MBS are down. Friday’s huge payroll print was largely due to seasonal adjustment factors. The unemployment rate rose, hourly earnings barely budged and the labor force participation rate inched up only slightly. The right thing to do is to take May’s 11k number and average it in with June’s 287k number to get a more realistic run rate. There isn’t much in the way of market-moving data this week – the week after the jobs report is invariably data-light. Earnings season kicks off this week, and the next two weeks will be dominated by bank earnings. Morgan Stanley is making the call that the post Brexit bond market rally is largely played out. “After having been bullish, we turn neutral on bonds as G4 yields sit at all-time lows,” Morgan Stanley analysts including Matthew Hornbach, the head of global interest-rate strategy in New York, wrote in a report July 8. That said, the increasing amount of negative yielding paper will continue to push up Treasuries in the US, as investors sell bonds yielding nothing to buy bonds yielding something. 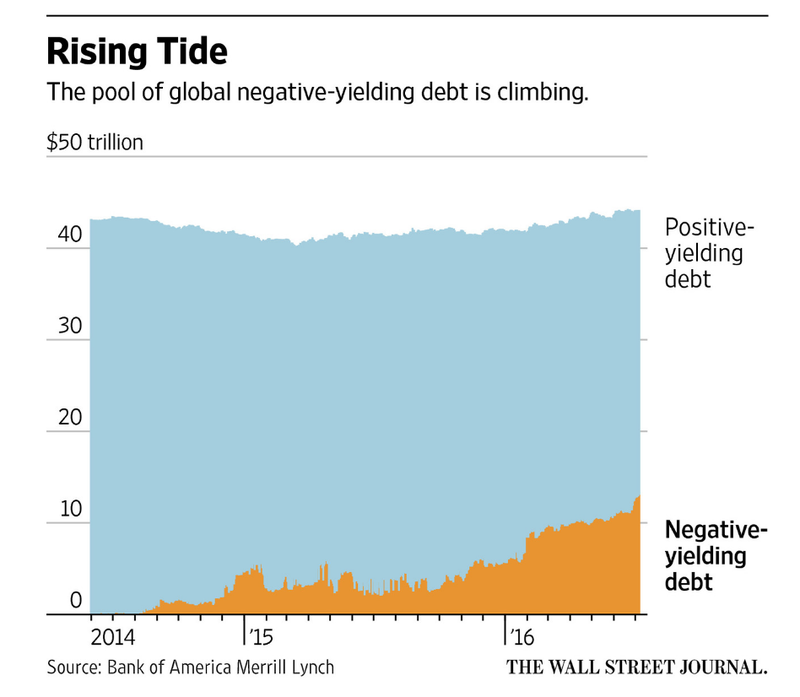 This will also lower borrowing costs for Corporate America. Don’t forget the last time bond yields bottomed out (2012) it took mortgage rates another 4 months to bottom out as well. We should probably see a similar effect going this time around. Mortgage delinquency rates ticked up in May, according to the latest Black Knight Financial Services Mortgage Monitor. Some of this is apparently seasonally driven. 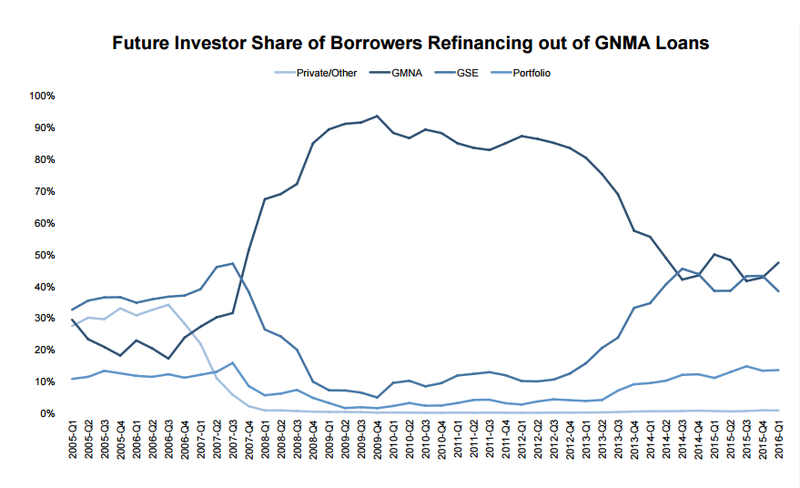 Interesting stat: From 2009-2012, over 80% of borrowers that refinanced a GNMA loan refi’d back into another GNMA product. Post 2013, GN back into GN refis have dropped below 50%. Increasing home equity and higher MI premiums are pushing borrowers out of GN products. Could this summer be the best summer for housing yet? We are looking for one more multifamily rental unit. Our search is taking us to El Paso this time. So far we have one in San Antonio and one in Temple. Austin is impossible for a decent return on investment in recent years. San Antonio and DFW are rapidly growing in the same direction. But there are still several cities – growing cities – in TX with excellent rates of return on small investment real estate [@$150K-$250K per duplex/triplex]. Decent rate in our world is purchase price less than 100x monthly rent. Kinda refreshing. No more rules. I wish Senators and nominees would nut up and start saying how they’d rule on stuff. We all do it, it’s human nature, I know if the facts are different during the case they’ll change their minds, what’s the big deal? I wish Senators and nominees would nut up and start saying how they’d rule on stuff. Now that the court is essentially just a super-legislature, it makes no sense to allow nominees to demur on taking a position, even on existing or hypothetical cases. Anyone else running for a political position is expected to lay out policy positions, so we have at least some sense of what we are getting ourselves in for if we vote for them. There is no longer any reason not to demand the same thing from SCOTUS nominees. Or now that the court is a super legislature, it makes no sense for the other two branches to defer to it’s rulings. ZING. Trump on Clinton emails/FBI: "The fact that she got away with all of this could be her single most impressive accomplishment"